The Ferrari 348 (Type F119) is a mid-engined, rear-wheel-drive V8-powered 2-seat sports car produced by Italian automaker Ferrari, replacing the 328 in 1989 and continuing until 1995. 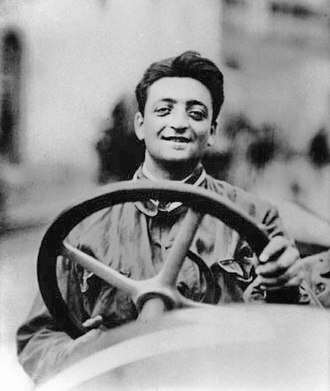 It was the final V8 mid-engine model developed under the direction of Enzo Ferrari before his death, commissioned to production posthumously. The 348, badged 348 TB for the coupé (Transversale Berlinetta) and 348 TS (Transversale Spider) and the 348 SP (Spider, or Convertible) versions, featured a naturally aspirated 3.4-litre version of the quad-cam, four-valve-per-cylinder V8 engine. As with its predecessors, the model number was derived from this configuration, with the first two digits being the displacement of the engine and the third being the number of cylinders. 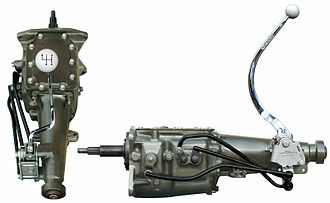 The engine, which produced 300 hp (304 PS; 224 kW), was mounted longitudinally and coupled to a transverse manual gearbox, like the Mondial T with which the 348 shared many components. 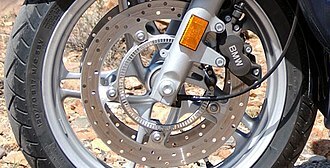 The "T" in the model name 348 TB and TS refers to the transverse position of the gearbox. Overall, 2,895 examples of the 348 TB and 4,230 of the 348 TS were produced. The 348's styling differed from previous models with straked side air intakes and rectangular taillights resembling the Testarossa, stylistic themes reminiscent of the F40, the world’s fastest production car at the time, and other prestigious Ferraris of the past. The model was also the final design overseen by chief stylist Leonardo Fioravanti, known for such designs as the Ferrari F40, Ferrari Daytona, Ferrari 512 Berlinetta Boxer, Ferrari 288 GTO, Ferrari P5, Ferrari P6 and others. The F355 that succeeded the 348 returned to the styling cues of the 328 with round tail lights and rounded side air scoops. 57 "Challenge" models were built for owners who wanted a more "track-ready" car. The 348 was fitted with dual-computer engine management using twin Bosch Motronic ECUs, double-redundant anti-lock brakes, and self-diagnosing air conditioning and heating systems. Late versions (1993 and beyond) have Japanese starter motors and Nippondenso power generators to improve reliability, as well as the battery located within the front left fender for better weight distribution. U.S. spec 348's have OBD-I engine management systems, though European variants do not come with the self-test push button installed, which is needed to activate this troubleshooting feature. Similar to the Testarossa but departing from the 512 BB and 308/328, the oil and coolant radiators were relocated from the nose to the sides, widening the side of the car substantially, but making the cabin much easier to cool since hoses routing warm water no longer ran underneath the cabin as in the older front-radiator cars. This also had the side effect of making the doors very wide. The 348 was equipped with a dry-sump oil system to prevent oil starvation at high speeds and during hard cornering. The oil level could only be accurately checked on the dipstick when the engine was running due to this setup. The 348 was fitted with adjustable ride-height suspension and a removable rear sub-frame to speed up the removal of the engine for maintenance. Between 1992 and 1993 Ferrari made 100 limited edition units of 348 Serie Speciale of its TB and TS versions. It was only made for the US market. The main technical modifications consisted in a revised engine which produced 312 hp (316 PS; 233 kW) at 7,200 rpm, a wider rear track (50mm), a free flow exhaust system, a shorter ratio final drive and Pirelli P Zero tyres. Ferrari indicated a 0-60 mph time of 5.3 seconds and a standing ¼ mile of 13.75 seconds. Several modifications were made to the exterior as well: new front spoiler to optimize aerodynamics similar to the F40, new front grill with chrome prancing horse, bumpers and rocker panels in body colour, engine cover in body colour, modified taillight assembly and new rear grill with chrome prancing horse. The cars were offered with F40 style sport seats in Connolly leather with the regular seats included as an option. The door panels were also modified and made of leather. Each car was numbered (1 to 100), with a 348 Serie Speciale plaque on the passenger's side door-post. The Ferrari Challenge was initiated by Ferrari Club Nederland and designated for the Ferrari 348; the series debuted in 1993 and included the Italian and European series. The engine used in the participating cars was similar to the road car with the only noticeable changes being the slick tyres, new body kit, better brake-pads, roll-bar, smaller battery in a different position and seat belts. 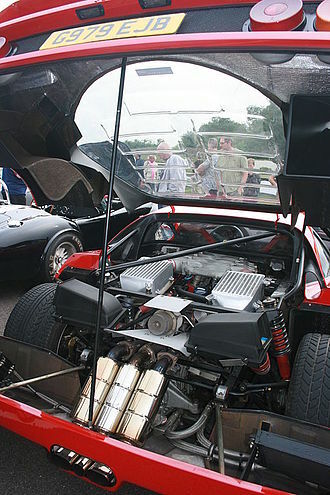 In 1994 the G-spec engined cars had to be modified with the H-spec cylinder heads and injection. The car's final season was in 1995 and was replaced subsequently by the F355 Challenge. In late 1993, the 348 was revised, featuring subtle styling changes (front grille, rear chrome Cavallino and removable seat cushions) and more power, this time producing 312 bhp (U.S) and 320 hp (Euro) from the same 3.4-litre engine, with an improved engine management system - Bosch Motronic 2.7, new exhaust system (single muffler). The revised cars are called 348 GTB (252 made) and GTS (137 made) and were presented to the public as the 348 GT versions, equipped with the F119H engine (as opposed to the original F119D and US F119G). The F119H engine had an increased 10.8:1 compression ratio as compared to the F119D & F119G's 10.4:1 compression ratio, taller intake plenums, a larger intake compensation valve, fuel pressure was raised from 3.4 bar to 3.8 bar, and different camshaft timing. For these models, both the engine cover and lower body skirts were body-coloured instead of black, and the rear track was one inch wider due to the mounting area, on the inside, of the rear wheels being thicker. The suspension geometry was revised which greatly enhanced its handling, ride and body control. The fuel tank was also smaller (88L) in order to reduce overall weight and provide space to improve chassis rigidity. The 348 Spider (convertible) variant was also introduced, in-line with the phasing out of the Mondial Cabriolet. 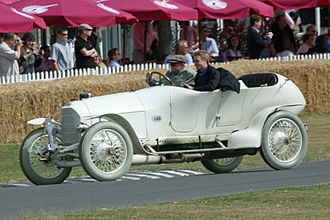 1,090 units of the Spider were produced. In 1993, Ferrari presented a light weight 348 GT Competizione variant as a homologation version for competing in the GT Championship. Safety equipment such as a tool kit was carried over from the 348 Challenge. 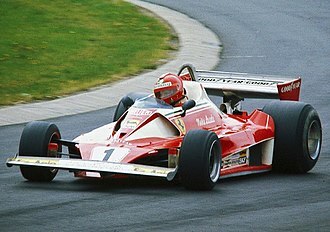 The braking system was derived from the F40 Evoluzione model. The cars also had modified racing suspension and exhaust system. The engine produced 320 hp (239 kW; 324 PS) at 7,000 rpm and 324 N⋅m (239 lb⋅ft) of torque at 5,000 rpm, consistent to standard late 348 production with the F119H engine. Only 50 were ever made, including 8 Right Hand Drive models. Special features included a specially trimmed steering wheel indicating the number sequence in the production of the 50 cars, 5-spoke 18-inch Speedline competizione wheels and cloth trim seats with kevlar structure for weight reduction. Aiding further in the weight reduction was the carbon kevlar composite material used for the front and rear bumpers as well as the doors and a light weight polycarbonate rear window. Additional interior trim pieces such as door sills featured carbon kevlar and creature comforts such as air conditioning and sound proofing materials were removed. These changes resulted in a dry weight of 1,180 kg (2,601 lb). 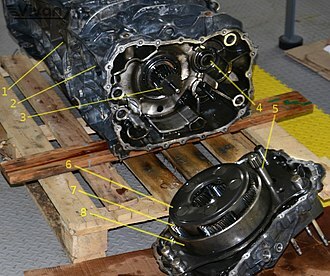 The final drive in the gear box was changed to 25/27 ratio for improved performance. Between 1991 and 1992, Italian coach builder Zagato announced the Zagato Elaborazione package for the Ferrari 348 TB. The changes were all cosmetic and the engine and other mechanical components remained identical to the donor car. At the front of the car a new bumper removed the original’s fake central grille and also replaced the Ferrari prancing horse emblem. The side intake cooling ducts were enlarged with the strakes removed and the engine cover was replaced with a glass engine cover showing off the V8 engine. A new round triple tail-light arrangement and an electronically controlled rear spoiler were added. A double bubble roof replaced the original, the idea being that Zagato could lower the roofline of a car, but retain enough headroom for each occupant. Other modifications included custom OZ Racing alloy wheels, external fuel filler caps and a completely reworked interior including a three-inch rear view screen and suede upholstery. Zagato initially announced a production run of 22 examples, but only 10 cars were made, making it one of the rarest Ferraris of the 1990s. The Ferrari 348 Barchetta Competizione is a one-off special created for car collector Guy Audebert from his crashed Ferrari 348. The car, which has a true open top barchetta body style features heavily modified body work that includes a deeper chin spoiler, removal of the pop-up headlamps with the headlamps integrated in the fog light assembly, quick release bonnet, minimalist racing interior; featuring a detachable steering wheel, Sparco racing bucket seats with six-point harness and a roll bar for the driver's safety, a large air scoop reminiscent to that used in Ferrari F1 cars, racing wing mirrors, replacement of the straked side air intakes with larger air intakes along with two additional vents, tail lights from the Ferrari 328, perforated rear grille, 18-inch BBS racing alloy wheels and a large rear wing inspired by the Ferrari F40 LM. Details of the coach builder that carried out this conversion, the materials used for the body work and the car's technical specifications remain unknown due to the car being mostly kept private but the weight was revealed to be 1,100 kg (2,425 lb). In 1991, 348 chassis number 82881 was delivered to Ecurie Francorchamps for the purposes of evaluating the 348’s suitability for competition use, and its development set the stage for the 348 GT Competizione production models to come near the end of the model run. Outfitted with composite doors, polycarbonate competition windows, and experimental exterior and underbody aerodynamic treatments, the development mule was designated as 348 tb/f, with the f designating the car’s creator, Francorchamps, and weighed a total of 1,165 kg (2,569 lbs). 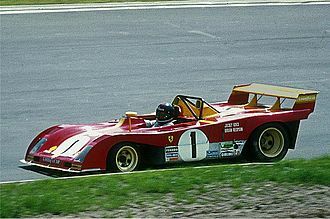 The car was frequently run at Spa Ferrari race events, but did not campaign formally within any major series. 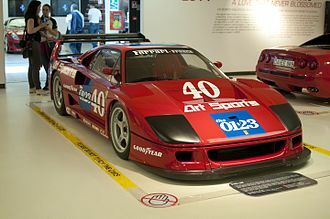 For 1993, Michelotto, then known as Ferrari’s unofficial race preparation specialist based upon their work in developing the 288 GTO Evoluzione, F40 LM, and 333SP, was commissioned to prepare 11 examples of the 348 CSAI-GT model for competition in such prestigious events as the 24 Hours of Le Mans and Daytona races. Sold with the intention of being campaigned by privateer teams, only 2 of the cars ever saw true competition use, with the remaining 9 disappearing into private collections. Italian race team Jolly Club campaigned one of the 348s alongside their Michelotto-prepared F40 LM, achieving significant success in the Super Car GT series, with the 348 winning sequential outright titles in 1993 and 1994, along with 3 category titles. Michelotto built a further 2 cars in 1994, designated as 348 GTC-LM for competition within the GT2 class, campaigned by Team Repsol and Ferrari Club Italia. Team Repsol placed 4th in the GT2 class for the 1994 24 Hours of Le Mans, following a trio of Porsche 911 GTs, and 11th overall. The 348 GTC-LMs also placed 2nd and 6th at Vallelunga 6hr and 4hr races, and 5th at Spa 4 hours for the season, along with another Michelotto 348 taking 7th in the GT2 class for the Daytona 24 hours. Two Ferrari 348s were used as two of the three test mules for the Ferrari Enzo namely M1 and M3 respectively. Details about the M1 remain unknown but some images surfaced online show that it was painted black and had stretched body work  while the M3 featured heavily modified body work to accommodate the V12 engine and gearbox which were intended to be used in the production car along with many components from its successors, the F355 and the F430 respectively. The engine in the test mule produced 670 hp (679 PS; 500 kW), 20 hp (15 kW) more than that of the production car. The car was not kept by Ferrari and was auctioned off in 2005 to a private collector at a price of €190,000; making its presence known to the public. The car was famous as "the Frankenstein Ferrari" due to it being a by product of many Ferrari models. Due to this fact and a lack of model name and safety features, it was deemed not road legal. The Ferrari 348 made its debut in September 1989 at the Frankfurt Auto Show to positive review, cited as "Best in Show" by Road & Track and AutoWeek coverage. 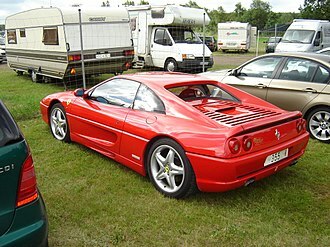 In a later 1991 comparison against the NSX, Road & Track inquired, “Has Honda bettered Ferrari?” The magazine concluded the Ferrari 348 was “the better exotic” and would later name it “one of the ten best cars in the world.” Auto journalists described the 348 as, "something quite special," and the engine being the formative element in defining the car's character, rising in an, "operatic crescendo," having the, "power to raise goose bumps as Pavarotti climbing to that note in Nessun Dorma." 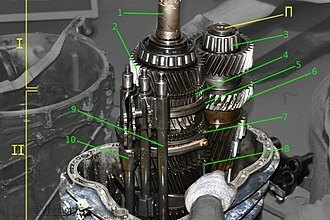 Some areas of critique focused around the long-established topic of Ferrari gearboxes, typically stiff and balky when cold. The 348 did not break from tradition in this area, requiring careful adjustment and lubricating considerations, as well as full warm up, and was found to perform best with quick and aggressive driving. "It's only when you allow the engine full voice that the 348's drivetrain really works," mentioned Mike McCarthy of May 1994's Wheels Magazine. "Only then does this drivetrain achieve harmony," with the gear lever "moving fast and fluidly," leaving "no surprise to anyone who knows why Ferrari has the reputation it does," summarizing it to be, "very much like what you imagine a Ferrari might be." 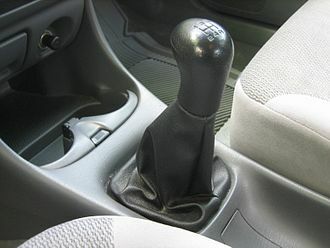 Paul Dean described, “Gears are given up smoothly only when the moment, the engine, the clutch and shift are in concert. But finding that moment, being the conductor of a coordinated downshift, earning some respect from a benchmark machine that rises above the best of our abilities . 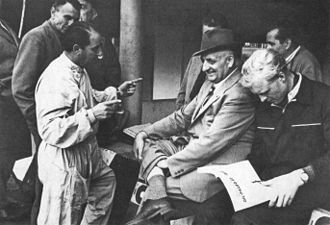 . . ah, there's the defiance but also the satisfaction of Ferrari.” Though lauded for its capability on a race circuit, oversteer characteristics at the limit in early 348s became a point of concern for the buying public due to the sensitive nature of the chassis setup, leading to updated mounting points in the rear combined with revised alignment specifications in later cars. ^ "Ferrari 348 designer". Retrieved 2017-12-24. ^ a b c d e "348 TB". Ferrari official website—past models. Ferrari S.p.A. Retrieved 2015-10-24. ^ "Ferrari 348 tb & ts". 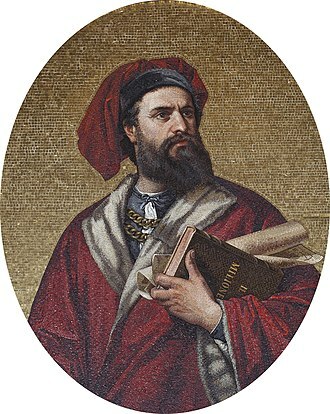 QV500.com. Archived from the original on 2008-03-27. Retrieved 2008-04-01. ^ Husleag, Mike (2005-02-10). "1989 - 1995 Ferrari 348 TS". topspeed.com. Retrieved 2008-04-01. ^ Andrew Golseth (2017-04-17). "Ferrari 348 Serie Speciale". Retrieved 2017-12-24. ^ "Ferrari 348 GTB". Ferrari GT - en-EN. Retrieved 2016-01-15. ^ "1990 Ferrari 348 Zagato Elaborazione". supercars.net. Retrieved 2012-05-13. ^ "The Ferrari 348 Barchetta Competizione hits the track". 2013-07-02. Retrieved 2018-05-22. ^ "Testmule M1". Retrieved 2017-12-30. ^ Travis Okulski (2012-12-27). "the Frankenstein Ferrari". jalopnik. Retrieved 2017-12-25. ^ Catchpole, Henry. "Ferrari 458 Italia meets 308, 348, F355, 360 and F430". EVO. Retrieved 28 September 2016. 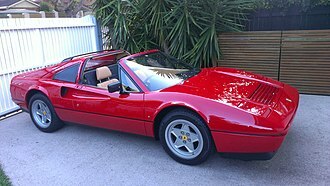 Wikimedia Commons has media related to Ferrari 348. Foskett, Robert (2015). Ferrari 308, 328 and 348 The Complete Story. Ramsbury: The Crowood Press. ISBN 978-1-84797-396-2. A convertible or cabriolet is an automobile body style that can convert between an open-air mode and an enclosed one, varying in degree and means by model. Convertibles evolved from the phaeton, an open vehicle without glass side windows that sometimes had removable panels of fabric or other material for protection from the elements. Historically, a retractable roof consisted of a frame covered with a folding. A lesser seen detachable hardtop provided a more weatherproof and secure alternative, as technology improved, a retractable hardtop which removes and stows its own rigid roof in its trunk appeared, increasingly becoming the most popular form. A semiconvertible known as a coach has a retractable or removable top which retains fully framed windows on its doors. A landaulet is a convertible with a fully enclosed front cabin. Other common terms include cabriolet, soft top, and drop top, and where the roof is more than emergency weather protection, open two-seater, rag top, spider. The erected top secures to the frame header with manual latches, semimanual latches. The folded convertible top is called the stack, a tonneau cover provides a solution. A range of materials is available for soft tops, automakers had problems in securing raw materials to fulfill orders after World War II, including canvas in various shades for convertible tops and limiting their manufacture. Polyvinyl chloride material was used for many convertible tops, the material consists of two layers, a top layer made of PVC, which has a specific structure depending on the vehicle model, and a lower layer made of fabric. 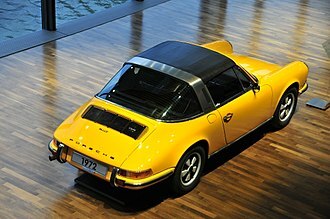 Side windows were not existent in open cars, which may have detachable side screens, rear windows have evolved similarly, with plastic rear windows appearing as late as the first-generation Porsche Boxster. 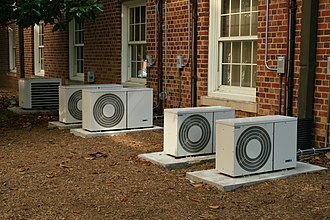 Plastic windows can degrade, fade and crack over time, a windblocker or wind deflector minimizes noise and rushing air reaching the occupants. Mazda pioneered a version on the RX7 convertible which featured an integral rigid opaque panel that folded up from behind the front seats, current convertibles feature windblockers of various designs including detachable fold-up designs, vertically retractable glass, minimal flaps – or other integrated wind controlling systems. The Ferrari Mondial is a V8, mid-engined, grand tourer coupé and cabriolet that was produced by Italian manufacturer Ferrari between 1980 and 1993. Conceived as a practical Ferrari, the Mondial is a genuine long-distance four-seater, with sufficient rear head- and leg-room for children and it affords easy access via the long single doors, and has surprisingly good all-round visibility for a mid-engined car. 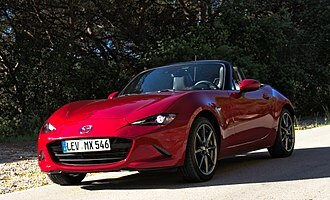 The vehicle has a higher roofline and greater all-round dimensions compared to its two-seater stable mates. It is claimed that the Mondial cabriolets are the production vehicles manufactured to a four-seater, rear mid-engined. The Ferrari Mondial is a vehicle of the R-M-R configuration. It was produced in 2-door coupé and convertible forms, with all vehicles offering 2+2 passenger accommodation. 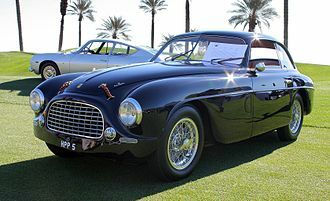 Unlike its GT4 predecessor which was styled by the Italian Gruppo Bertone, the Mondial was designed by Pininfarina of Turin, pininfarinas bodywork was manufactured by Ferraris regular coachbuilder Carrozzeria Scaglietti. Its structure conformed with Ferraris practice at the time, with body panels fitted onto a separate space-frame chassis constructed from tubular box or oval-shaped steel sections. While most body panels are steel pressings, the front lid and rear cover of the Mondial 8. Additional louvre grilles are located on side of the vehicle just ahead of the rear wheels. Louvres feature in the front polished aluminium grille behind which sits the main radiator, a final full-width black louvre panel closes-off the rear of the car below the rear bumper, and through which protrudes a pair of exhaust outlets on each side of the vehicle. Front and rear bumpers are from black plastic on the Mondial 8 and QV, the Mondial chassis includes several detachable sub-frames holding major mechanical assemblies, including one at the rear supporting the entire engine/transmission/rear suspension assembly. This design considerably simplifies engine removal for a rebuild or cylinder head removal compared to previous Ferrari V8 vehicles. Female OBD-II connector on a Doblo car.